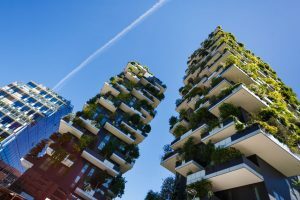 The Green Building Council of Australia (GBCA) is strongly supporting proposals by the Australian Building Codes Board (ABCB) to lift the energy efficiency standard of our buildings. In responding to consultation on amendments to the National Construction Code, the GBCA has stressed the critical role that energy efficiency as well as other demand management measures will play in reducing the burden on the electricity grid and meeting Australia’s emissions reduction targets. “The proposal to increase the stringency of energy requirements for commercial buildings is a huge step forward and one that we strongly support,” chief executive officer Romilly Madew said. “Improved building energy efficiency offers a win-win-win solution, reducing stress on the electricity network and supporting a least-cost pathway to decarbonisation, while also delivering financial savings and improved comfort to building occupants. “While leading Australian property companies are consistently ranked best in the world on sustainability and continue to push the boundaries of green building, stronger minimum standards are needed to lift performance across the board and ensure market-wide transformation. “We commend the ABCB for its extensive consultation and open and constructive engagement in developing the proposed 2019 Code changes. “The ABCB’s efforts to improve compliance measures for the energy efficiency requirements for residential buildings are also welcome. The progress made so far is very positive, but there is still scope to do much more. “The Building Ministers’ Forum (BMF) needs to establish clear targets that align with the transition to net zero building emissions, along with a forward trajectory for the Code energy requirements to achieve these targets. “More than half of the buildings that will be standing in 2050 have yet to be built, so we can’t afford to miss the opportunity now to ensure they are constructed to higher energy efficiency standards. “We have worked closely with the Australian Sustainable Built Environment Council and ClimateWorks Australia on their recent research, which highlights the urgency of updating the stringency of energy requirements in the residential sector. It also demonstrates that Australia can cost-effectively strengthen residential energy efficiency standards in the Code and cut heating and cooling energy use by up to 51 percent. “We therefore urge the BMF to commit to an ambitious increase in stringency for residential buildings in the Code by 2022 at the very latest. A copy of the GBCA’s submission on the Consultation RIS for Residential energy efficiency: heating and cooling load limits can be found here and on the Consultation RIS for energy efficiency of commercial buildings can be found here.